Venetian Isles: Stunning six bedroom and six bathroom Lighthouse Point home. Amazing location. On the intracoastal. Great curb appeal. High ceilings. Incredible tile work throughout. Great details throughout. Lots of windows and tons of natural light. Huge kitchen which opens up to the living room. Cooking island, stainless steel appliances. Laundry room. Huge bedrooms. Amazing master bedroom and bathroom. Beautiful backyard with private pool and spa. Close to everything! Long Lake Estates: Executive entertainer's home. Recently featured on Channel 10's "SoFlo Home Project". Modern, designer kitchen and family room, spacious bedrooms, lush grounds, multiple entertaining spaces, marble, wood floors, generator, cascading stairwell set amidst quiet enclave of manned gate of Long Lake Estates - easy access to 595, 75, 95 & Turnpike. Sage Beach: This exclusive condominium features 24 exclusive oceanfront residences with the contemporary design of Carlos Ott. The pristine blue waters of Hollywood Beach and its boardwalk are waiting for you. This 2/2.5 can be easily converted into a 3/2.5. Ready to move in with his and hers walk-in closet and contemporary kitchen and bathrooms. This units is priced to sell. Long Lake Ranches: Amazing opportunity to own a home in Long Lake Ranches in Davie. An upscale private community with lush landscaping, beautiful homes and top schools. The house is a large 6000 sq ft 5 bedroom, 5 bathroom home, with almost an acre lot full of beautiful landscape and with more than enough room for a new pool! The house features marble floors, spacious kitchen, fireplace, wood floors in bedrooms, large master bath with roman tub and large open windows with a beautiful lake view. This one won't last! Q Club: PRESIDENTIAL SUITE ON FORT LAUDERDALE BEACH -- Beautiful 2 story 3 bed 3.5 bath Suite overlooking ATLANTIC OCEAN. Suite is located inside FORT LAUDERDALE BEACH HILTON, so owner has access to all the amenities of hilton hotel like pool, hot tub, lobby, restaurants, bars, cabanas, spa, fitness center , Starbucks, Gift store ....just to name a few. Once in a life time opportunity to buy a special real estate property on fort lauderdale beach. Corner unit WITH master bathroom and bedroom on 2nd floor of unit that includes full kitchen, spiral staircase and breath taking views of ATLANTIC OCEAN. Unit comes with 3 balconies that are combined over 800 soft. SPECIAL SPECIAL PROPERTY !! Harbor Village: Location, Location, Location!!! This home features stunning views down the Intracoastal Canal. This is a must see in Pompano Beach. A spacious 3 bedroom/2 bath home with pool, facing south in the desirable Harbour Village Subdivision. Many updates to see, ceramic tiling throughout, stainless steel appliances, new flat tile roofing, and much more. 2 car attached garage, with circular drive accommodating vehicles. Sunset Falls: THIS IS AN OUTSTANDING HOME ON ONE OF THE BEST LOTS IN THE SUNSET FALLS COMMUNITY FEATURING 10,179 SF, ROOM FOR A POOL AND ABUNDANT SPACE TO ENTERTAIN FAMILY AND FRIENDS!! GORGEOUS TWO-STORY HOUSE FEATURES 4 BED/4 BATH SAND 2 CAR GARAGE, A HUGE MASTER BEDROOM WITH HIS/HERS MASTER BATHROOM AND CLOSET,ONE BEDROOM DOWNSTAIRS,TILED THROUGHOUT THE LIVING AREAS, CARPET IN THE STAIRS AND BEDROOMS, ENTIRE HOME FRESHLY PAINTED, STAINLESS STEEL APPLIANCES, GRANITE COUNTER TOPS, NEW COOK TOP AND NEW DISHWASHER AND DOUBLE OVEN. VOLUME CEILING AND 8 FT DOORWAY. HUGE FAMILY ROOM, LIVING AREA & PRIVATE DINNING AREA. TWO SEPARATED A/C UNIT. THE HOME IS ACROSS THE STREET FROM A MILLION DOLLAR CLUBHOUSE WITH GYM,SPA, TENNIS,POOL , AND THE LARGEST INNER LAKE IN BROWARD. GUARDS AT GATE AND ONSITE MANAGEMENT. Cocobay: Stunning water and pool views are offered by this 4 bedroom 2.5, two-story home with 2 car garage in gated community. All bedrooms on 2nd floor featuring laminate flooring. Master boasts separate tub and shower, dual sinks, walk in closet, laundry room, and spectacular views. First floor is tiled with plenty of natural light. Granite counters & generous space in kitchen. Pool is heated with propane gas. Interior laundry room. Call today, don't miss this beauty! Plantation: Great opportunity! Lovely home with 2 bedrooms 2 bathrooms an attached garage and a pool with diving board. Fireplace in living room, spacious family room with recessed lighting, and lots of windows throughout bring in natural light. Coem take a look today and make an offer. 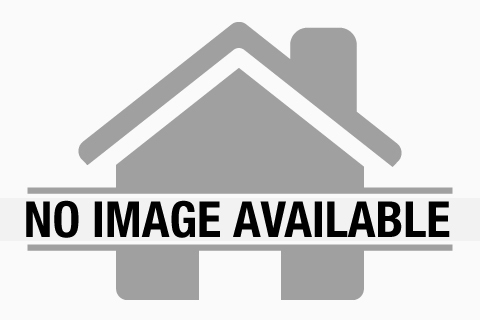 Cypress Harbor: Nice 3 bedroom 2 bath 1 story home on the canal, ocean access. Pavered circular drive,mature landscape, pool, great home for entertaining friends & family. Ocean Place: One of two penthouse units at the Ocean One complex across the street from Pompano Beach. a Short distance from the new Pier and all the new activity in the area. This 2 bedroom 2.5 bath unit has great views of the ocean and amazing views out west. Watch the sunset from your own private roof top patio.